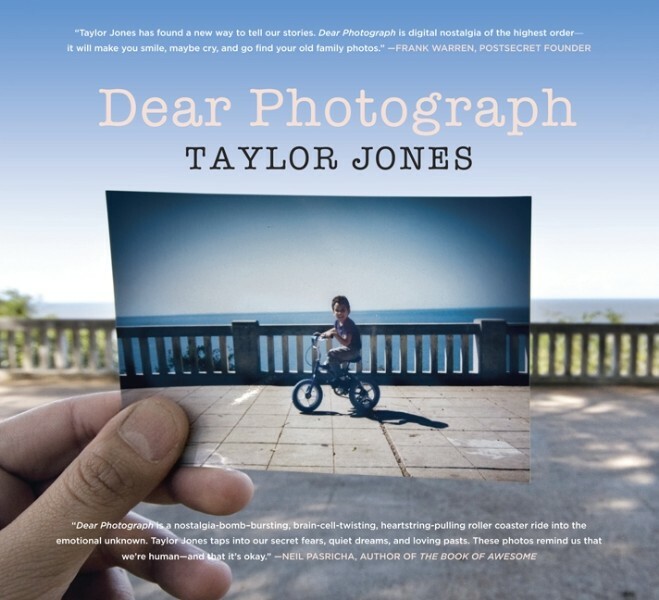 "Taylor Jones has found a new way to tell our stories. Dear Photograph is digital nostalgia of the highest order -- it will make you smile, maybe cry, and go find your old family photos." Taylor Jones, at just 22 years of age, was inspired to start his website Dear Photograph as he flipped through old family photos at his parents' kitchen table. When he came across an image of his brother sitting at that very same table, he lifted it up and snapped a picture of the picture. In a moment, the idea for DearPhotograph.com was born. After taking more photographs, Jones posted them on a website and asked people to submit their own renditions -- but he had no idea how overwhelming of a response he would get. In just six short weeks, millions of people had visited, hundreds had submitted, and Jones had created an internet phenomenon that captured the world's attention. His book, Dear Photograph (Morrow Avon), celebrates a way to link the most powerful memories of our past with our experiences in the present. 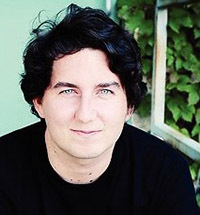 The perfect keynote speaker for colleges and universities, business conferences, and community-focused organizations, Jones demonstrates in his presentations how one idea can not only turn into a fulfilled dream, but also an internet and cultural phenomenon. The idea behind Dear Photograph is simple: hold up a photo from the past in front of the place where it was originally shot, then take a picture of the picture, adding a dedication about what the photograph means to you. The results, however, are astounding. By turns nostalgic, charming, and poignant, Dear Photograph is a stunning visual compilation that evokes childhood memories, laments difficult losses, and above all, celebrates the universal nature of love. "Today, as I sift through the posted pictures of front door steps and sledding hills, of kitchen tables and corners of downtown small town America, I find myself so moved ... in more than ways than one. When I look back -- not just at my own history, but at the big universal timeline -- am I looking for honey-dripped home decorations or more nuanced truths? There is a place for both, I'm sure. But what I'd like to take away from Dear Photograph is a reminder to consider the real people behind the romance, the people determinedly smiling, waiting for click." "A nostalgia bomb-bursting, brain cell-twisting, heart pulling roller coaster ride into the emotional unknown. Taylor Jones taps into our secret fears, quiet dreams, and loving pasts. These photos remind us that we're human and remind us that's okay." "DearPhotograph.com is a great idea."